She has gone down in history as the lucky fourth wife of Henry VIII…but as we’ve discovered in the first two parts of this series, Anne of Cleves was anything but “lucky”, she was patient, intelligent and kind. She was human, like you and me. Unlike her predecessors Anne was able to maneuver through a failed marriage to become the longest surviving of all of Henry’s wives. 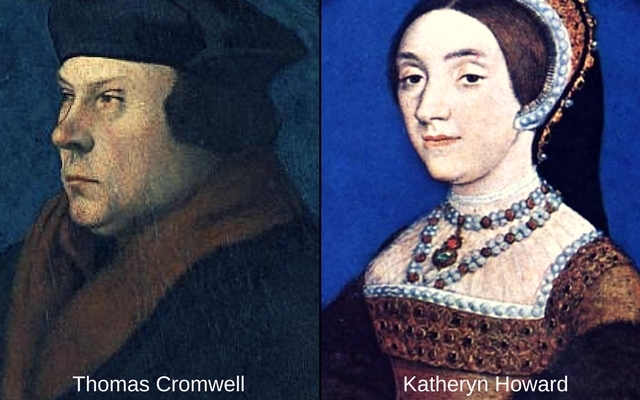 The 28th of July was a very important date in Tudor history for two reasons, first of all, Thomas Cromwell was executed and secondly, Henry VIII married his fifth wife, Katheryn Howard privately at Oatlands Palace. Even after all the name calling and anger toward the marriage to Anne Henry was still sensitive to his ex-wife’s feelings. A few days after his fifth wedding, Henry traveled from Hampton Court Palace to Richmond Palace to dine with Anne. Henry informed Anne of his marriage to Katheryn Howard over dinner. This is the part where I wonder where Henry’s head was. He was obsessed with Katheryn Howard – we all know that, so what would have caused him to leave his new wife to dine with the old wife he was so turned off by? Had he already realized that his young bride lacked the maturity of a good conversation? Or maybe it was just a respect he had for the woman who gave him exactly what he wanted. Anne enjoyed her new-found independence and stayed at Richmond Palace through the end of the year. It became her favorite location, one that she later made her primary home. When their marriage was dissolved Henry told Anne that she could visit court whenever she pleased, but this was not the case. For awhile, her visits were limited to give Katheryn Howard the time she deserved to flourish as queen — until she was invited to celebrate the New Year at court. Anne arrived at Hampton Court Palace on the 3rd of January – Anne’s first meeting with the new queen was a nervous one but Katheryn seems to have been even more nervous about her meeting with her husband’s ex-wife. Prior to the meeting Katheryn asked those around her for advice on how to properly welcome her husband’s former wife. She wanted to make sure it was all done perfectly. When Katheryn entered the room Anne fell to her knees and greeted the new queen with all the reverence she deserved. Katheryn was thrown off by Anne’s behavior and begged her to stand. Anne refused and continued to kneel in front of Katheryn, insisting on showing the new queen that she was respected by the “king’s sister”. While all of this was going on Henry entered the room to witness the interaction – he acknowledged and bowed to Anne and then the three of them had dinner together. When dinner finished Henry, Katheryn and Anne spent a short amount of time together before the King retreated to his apartments. Anne and Katheryn spent the rest of the night talking and dancing…like two friends. They got along quite well. When her time at court was over, Anne returned to Richmond Palace, satisfied with how it all went. The queen and Anne had got along well and the King was kind and gracious to Anne. Things were definitely looking up for “the king’s sister”. Even the ambassador for Cleves was surprised at Anne’s behavior – curious why she was acting so merry. This was Anne’s coping mechanism after the humiliation of her failed marriage and stint as Queen of England. By October of the same year there were rumors circulating that King Henry would discard Katheryn and take Anne back. While Anne would have welcomed the reunion with Henry she knew that Katheryn was his little rose without a thorn, and that the king was very happy with his young bride. Apparently even Katheryn Howard caught wind of these rumors because Eustace Chapuys, the Imperial ambassador, wrote that the queen had been very sad and when the Henry asked her why she said that she feared she would be put aside for Anne of Cleves. The king quickly told her the rumors were rubbish and that if he were to marry again it would not be Anne of Cleves. Not very reassuring if you ask me. Katheryn should have felt a little more confident in March of 1541 when Henry brought her to London in all the glory that Anne of Cleves had not been given. Both Henry and Katheryn traveled in the same barge down the Thames this time, unlike the 4th of February 1540 when the king and queen traveled in separate barges. With all that being said, Henry VIII still kept Anne of Cleves in his thoughts – he acted as a protective older brother to her…or maybe a controlling ex-husband, you be the judge. This behavior was evident when Francis of Lorraine married Christina of Denmark in June 1541. Henry proclaimed that their marriage was not lawful because, as he had claimed, Anne was “the real legitimate wife” of Lorraine. That fall is when the scandal broke about Katheryn Howard’s past in the household of the dowager duchess of Norfolk. Henry was heartbroken by the news and things only got worse for Katheryn on that front. Around the same time rumors began to stir that Anne of Cleves had had a child by the king which was conceived during her visit on New Years. The time she met Katheryn for the first time. King Henry knew himself that he was not the father and so he demanded a full investigation into the matter. Henry’s council sent for a couple of Anne’s attendants to get to the bottom of the matter, and after questioning Lady Wingfield and Lady Rattsay they were able to determine there was no truth in the matter. Anne of Cleves was very upset about the whole affair but her attitude soon changed when she heard about the downfall of Katheryn Howard. While Anne had been very friendly with Katheryn upon their meeting, she was joyous to find out that the queen was in disgrace – to her, this meant that there was still hope for her to be reinstated as queen. The Duke of Cleves even tried to convince the King that he should marry Anne again, but Henry would not hear any of it and besides, he was nursing a wounded heart over the Katheryn Howard affair and would never have considered re-marrying Anne. Even after Katheryn Howard’s execution Anne thought she had a chance to be reinstated, but once again she was disappointed by the lack of interest on the king’s part. 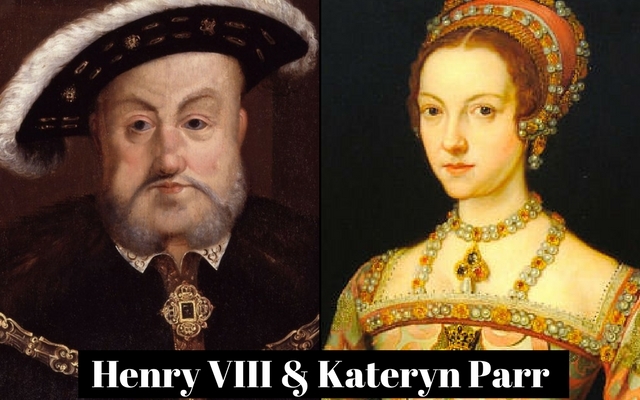 After a year without a queen, Henry VIII married Kateryn Parr in July 1543. Anne of Cleve’s didn’t find out about the wedding until two weeks after when the king asked to dine with her again at Richmond Palace – just as he had after he married Katheryn Howard. This time, Anne was devastated. She couldn’t understand why Henry would marry another woman, especially one that was less attractive than she was. At least with Katheryn Howard she could believe that the King’s obsession with her maid is what ended their marriage – but with Parr she was left confused and hurt. Anne was so hurt by the king’s sixth marriage that she wanted to leave England, but she would soon find out that she would not be able to return home because of conflict between her brother and the Emperor. After much conflict, loss of land and the death of her mother, Anne understood that the Cleves she knew no longer existed. In 1546, Anne was able to put her dislike for Kateryn Parr behind her and became a regular visitor at court. During Anne’s frequent visits to court the King was so kind to her that rumors began to spread once again about the two having an affair and this time it was said that she had two children by the king. These rumors once again had no base. In the final months of the king’s life Anne of Cleves truly felt like she was part of the royal family – spending much time with Henry, the queen and the king’s children. When Henry VIII died in January 1547, Anne was saddened by the loss of a man she truly respected. She had never loved him but had become very fond of him. Upon the king’s death she was no longer the king’s sister…now she was just the king’s aunt. Anne’s life was about to change. Anne soon realized that her new role at Tudor court was one of expensive irrelevance, or at least that is how the new king’s council saw her. They of course couldn’t see why Henry VIII’s promises to his ex-wife had to be upheld by the reign of his son. From the time of her divorce from Henry VIII in 1540 up until his death in 1547, Anne’s divorce settlement was most generous – not to mention when Anne needed financial assistance the King would step up and help. Unfortunately, after Henry’s death, the state of England began to change when inflation set in and Anne’s settlement wasn’t nearly enough to cover all her expenses. Where the old king once had helped his ex-wife, the new king’s council wasn’t so generous. The payments that had been promised to Anne by King Henry VIII soon fell into arrears and by 1550 things were growing so desperate for Anne that she petitioned King Edward. At first her payments were delayed due to the king being on progress but once he returned she received some, but not all of what was owed to her. 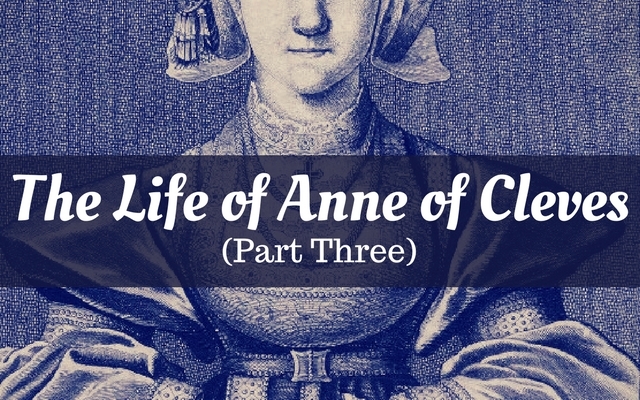 Once again in 1552 she complained and had lands and manors granted to her – the rent from these were not nearly enough to sustain Anne’s household payments and were merely meant to supplement her income. During the remainder of King Edward’s reign Anne’s property was continually under attack to be taken from her and her income dwindled mightily. Anne continued to wish during this time that she could return home to Cleves but could also retain her income. Both of which could not be granted. After the death of King Edward VI, Anne would have been witnessed to the tragic events that followed regarding Lady Jane Grey. Anne had always been friends with the Lady Mary and supported her cause when Jane Grey was thrust on the throne of England by her father-in-law. During Queen Mary’s coronation procession Anne was front and center in the first chariot following the Queen. She was, after all, a very prestigious member of Tudor court and shared the chariot with the Lady Elizabeth, the heir to the throne. At the coronation banquet, Anne also sat at the same table as the Queen and Lady Elizabeth – this event would be Anne’s final public appearance. When Queen Mary began to consider prospects for a husband, Anne voiced her opinion in the matter. At the time there were several men being considered: Edward Courtenay, Earl of Devon, Don Luis of Portugal, Prince Philip of Spain, Archduke Ferdinand of Austria, the King of Denmark, the Prince of Piedmont and even Reginald Pole. Anne favored Ferdinand of Austria because a marriage with him would ensure good relations with Cleves since there was a relation to her family through marriage. By November 1553, Mary had decided who she would marry – I’m confident that she always knew it would be Philip of Spain. Her connection to her mother’s Spanish roots were strong and this would bring her the glory her mother would be proud of. Anne, like many others, was disappointed with Mary’s selection. Her council and her subjects (well most anyway) were equally displeased. During Wyatt’s Rebellion, Mary believed both Anne of Cleves and the Lady Elizabeth were involved. It appears that Mary had the paranoia of both her father and grandfather as there is no evidence that either woman was involved. But, to be honest, after the ascension of Lady Jane Grey why wouldn’t she have been suspicious. There is no evidence that Anne returned to Mary’s court – her rise to favor under the reign of Mary ended nearly as soon as it began. She spent her remaining years in quiet obscurity. Life was never easy for Anne after the death of Henry VIII. The money she had been promised was not delivered as it should have been and she struggled to run her households and pay her servants. She was never looked after again like when she was the king’s sister. By the end of April 1557, Anne was very sick – she had been sick for quite some time. That spring she moved to Chelsea Manor where her health increasingly declined. On the 12th of July, Anne realized she was dying. Three days later, while holding the hand of one of her ladies, Anne of Cleves died. She was forty-one years old and the last wife of Henry VIII to join him in the afterlife. In my journey to discover the real Anne of Cleves I learned more about her than I have ever know. She wasn’t just the lucky wife – she was so much more.